many thanks to the staff at westwood, specially Steph. service was excellent, would highly recommend this company. First class service from Leon and Emma! Used vans from other providers in Wigan before and paid three times the price. Cannot thank them enough for an easy, efficient and timely service. Leon ensured I had the right van for the job by ensuring it would be long enough. Emma made sure everything was ready to go when I came to collect. I would never mess about again trying to source a van from friends for any jobs that need doing – £45 for a full days hire is amazing! Thanks again guys. Will defo be recommending you to everyone. Already passed your details onto friends and family! Fantastic experience all round, the friendlist staff, almost brand new van, VW short wheelbase, even offered a cuppa while we waited. Will be using again, thanks all. Purchased a van at the beginning of Jan, took my old van as part ex, absolutely no problems and Steve even sorted me out with ladder bars for it. Would definitely recommend to anybody looking for a new van, Westwood are a longstanding business, so you know they will still be there if you do have any problems in the future, and they also offer half price servicing. Like to thank all the team at Westwood, Especially Rosie for looking after everything and making it a smooth process, even going the extra mile and sorted stuff out on her day off. Would highly recommend using Westwood and ask for Rosie and you will be in safe hands. Rented a few vans of them and they suggested leasing one found the van i wanted at a great price. Searched more dealers than you can shake a stick at, and not one came even close to the quality of stock these guys had. From speaking on the phone making an enquiry to meeting in person they were professional and friendly, didn’t push anything, just listened and helped up to my final purchase. Cannot recommend strongly enough. Great Company! We have purchased and hired vans from Westwood Motor Group over the last several years we have been thoroughly delighted with the service received. Mike and Steve dealt with our enquiries from start to finish with absolutely no hiccups or disappointments, the personal and high level of service was outstanding. I would certainly recommend Mike and Steve and the staff at Westwood, and I will certainly use again. This is a top class company. We have bought and leased a fleet of vehicles off Westwood in the last two years. Great customer service and very knowledgeable. Highly recommended! We have been with Westwood for over a year, in that time I have found them to be a brilliant company with great ethics, their team are polite, friendly & very experienced, they are a pleasure to do business with. Hired a Transit Van last Sunday. Service from Westwood Staff was professional and very friendly. The van was excellent and spotless too. Would highly recommend this company. I had a brilliant A class Mercedes on contract hire from Westwood. I decided that I wanted to buy a new car for September Reg and found myself in a situation without a vehicle for a couple of months in between. I took out a flexi hire with them which worked out perfectly. Westwood advertise “vehicle solutions for all” and that certainly seems to be the case they were very attentive, efficient and at brilliant prices with flexibility too. Great company to rent from. I was underway in 30 minutes. Each and every member of staff was professional face to face and on the phone. I also had a minor incident but for me was very scary, but it was soon sorted. Returning the car to a little longer as there was a large queue and they had to make a few arrangements regarding the minor incident, so a staff member made me a cup of tea. This company hires out cars and vans to people of all ages including 21-24 year olds but there’s an £11 a day insurance fee on top of the daily rental charge. I couldn’t find anything regarding 21-24 year olds renting on the website, so I sent a few emails and they quickly got back to me. Can’t recommend them enough to the people of Wigan and Leigh. Such a great company to deal with. 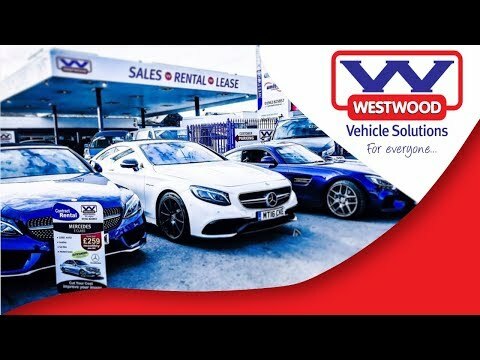 Having purchased/leased many cars and vans over the years, I have been thoroughly delighted with the service received at Westwood. Mike dealt with my enquiry from start to finish with absolutely no hiccups or disappointment,its a refreshing change to find a company that offer a personal high level service in this day and age. I would certainly recommend Mike and the staff at Westwood, and I will certainly use again. Sam C - The Best! I just want to say thank you to Laura who answered my calls and dealt with my enquiries at the start of this week. She was friendly, helpful and did exactly what she said she would do. Having dealt with a few terrible companies whilst trying to purchase a van, she was a breath of fresh air and a credit to Westwood Motor Group. I’ve hired vans on several occasions, usually with very short notice and Kate, Steph and co have always bent over backwards to help me out! Best hire company I’ve dealt with so far. Quality vans + excellent customer service = another happy customer.